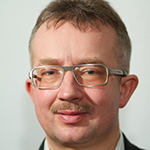 Prof. Przemyslaw Kardas, MD, PhD is a Head of the Department of Family Medicine at the Medical University of Lodz, Poland. His professional activities focus on patient adherence to medication, doctor-patient communication, and management of chronic conditions in the outpatient settings. He is the author of a number of peer-reviewed scientific publications and conference presentations, as well as four monographs. He is a member of several editorial boards and a reviewer for a number of medical journals. He serves as an expert to European Commission in Public Health under Horizon 2020 program, and a Promoter to PROEIPAHA Support Action for EIP on AHA Action Group A1: Prescription and adherence to treatment. He is involved in numerous international research collaborations, and EU projects. He was a Scientific Director of the European research initiative Ascertaining Barriers for Compliance (www.ABCproject.eu) under 7th Framework Programme (2009-2012), and the President of European Society for Patient Compliance, Adherence, and Persistence (ESPACOMP) scientific association (2010-2011).